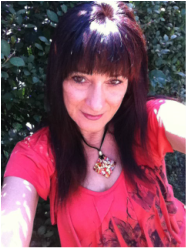 Rina Goldhagen is a professional artist and trained educator with 20+ years of experience. Rina has a versatile style and is comfortable with both representational and abstract techniques. Although many of her works are strongly influenced by the Impressionist style of painting, she also creates realistic works. She works in a variety of mediums including water color, acrylic, oil paint, pastel and charcoal. Her works have been sold both in the U.S. and the U.K. and she has exhibited widely. She holds a B.S. degree in Fine Art with an emphasis in watercolor. Rina established the Art of Excellence Studio in 2004 as a private instruction studio for high aptitude clients.